Last month, I went on a vacation that included ten days exploring the beautiful and enchanting country of Morocco. 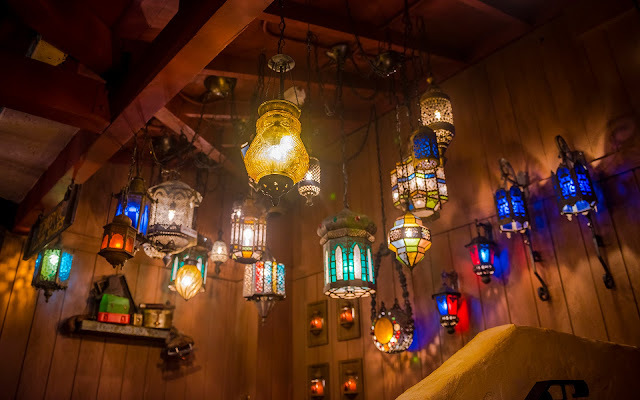 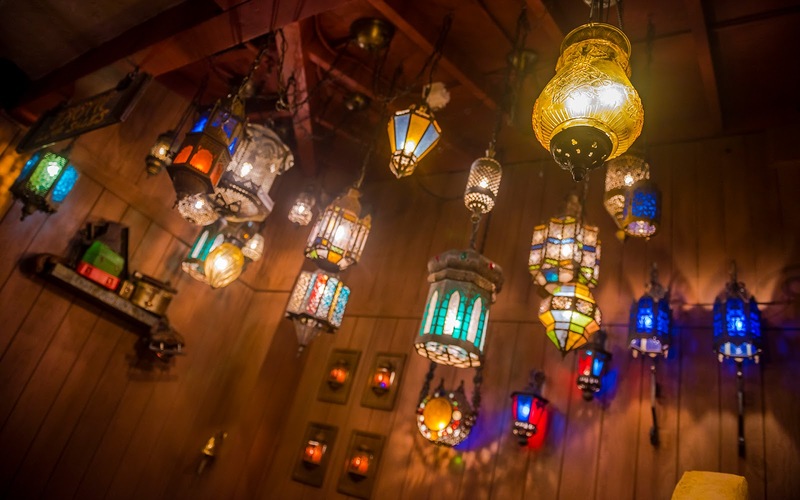 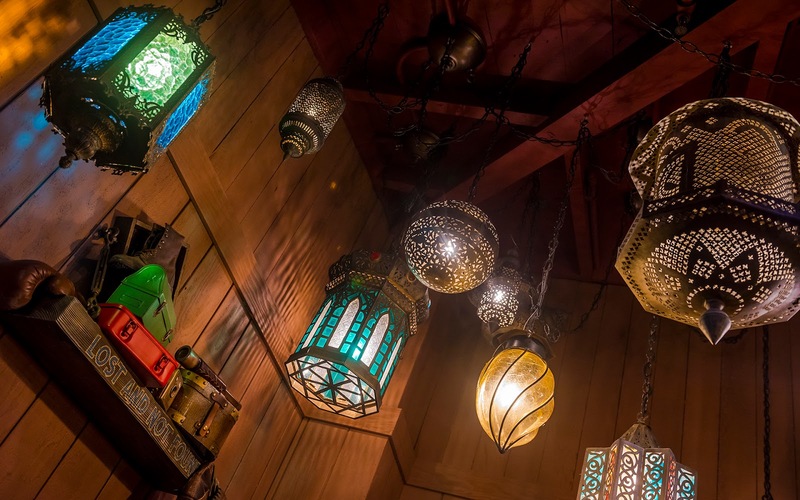 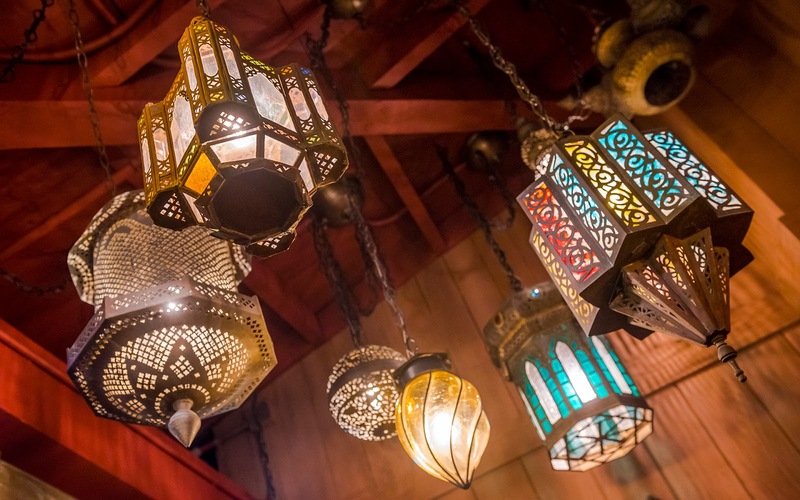 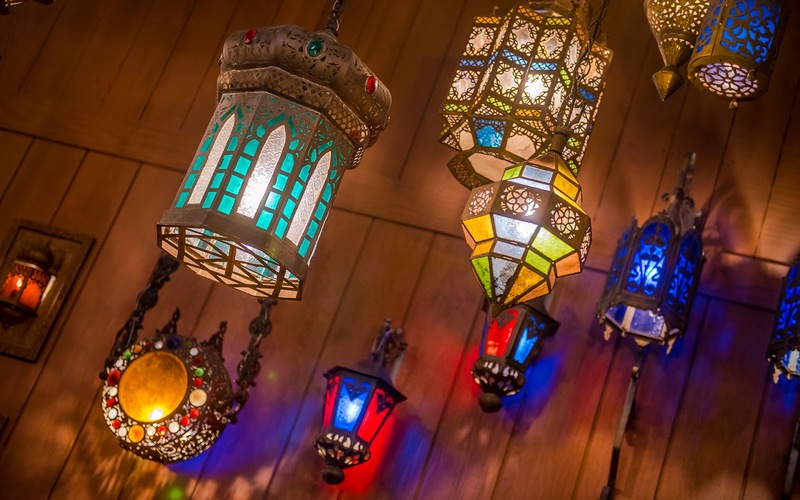 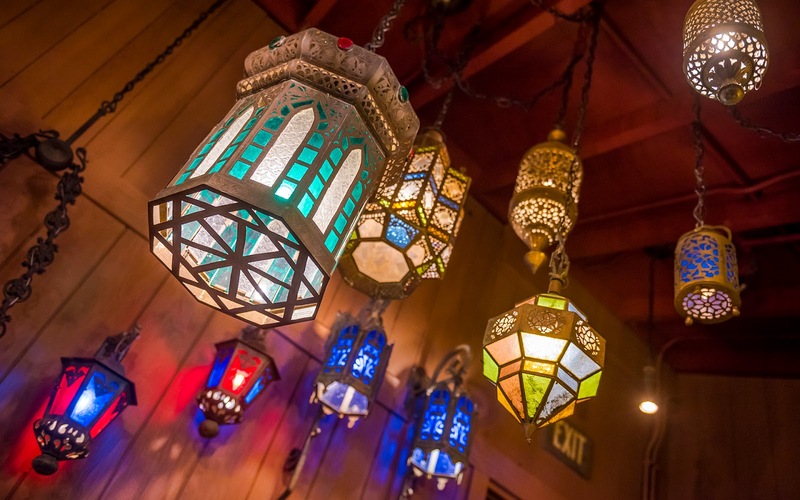 A week after I came back, the Tropical Hideaway officially opened, and one of the details that caught my eye was a nook with a plethora of hanging lamps, patterned in a mosaic style very reminiscent to what I saw in the marketplaces in Marrakesh and Fez. These were actually reused from back in the day when this site was used for Aladdin's Oasis, and their return was a very nice touch. 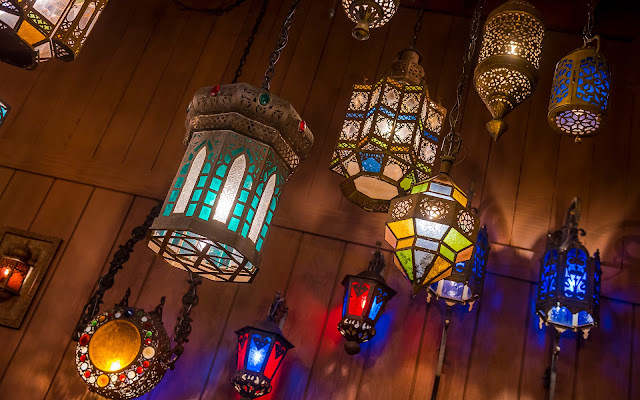 And though I wish there was a little greater density of hanging lights (Morocco certainly spoiled me), seeing these luminaires brought a lovely tinge of longing for a most amazing trip that I just completed. 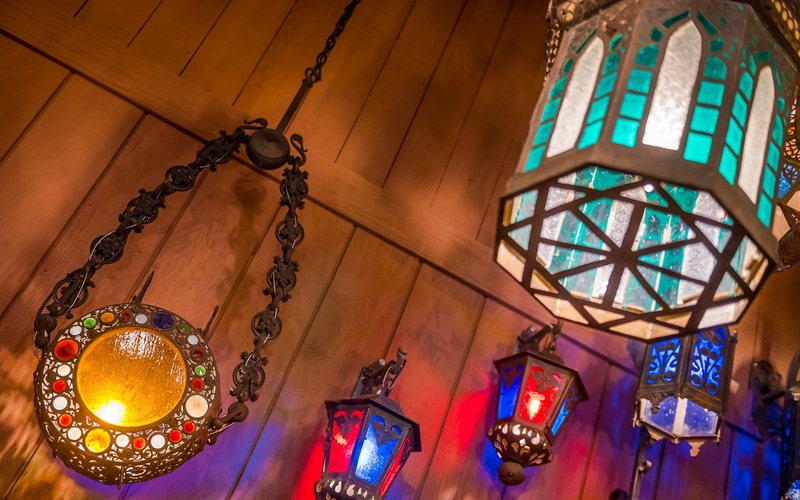 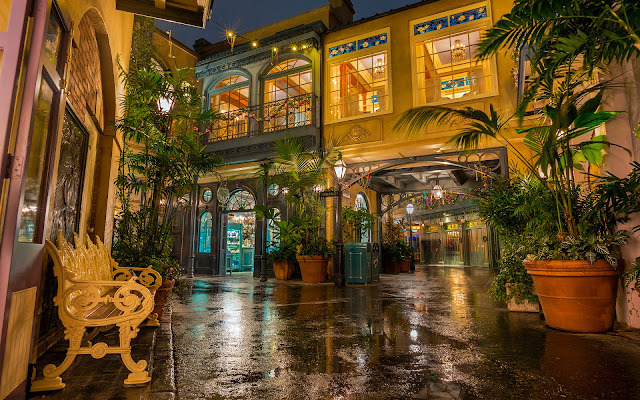 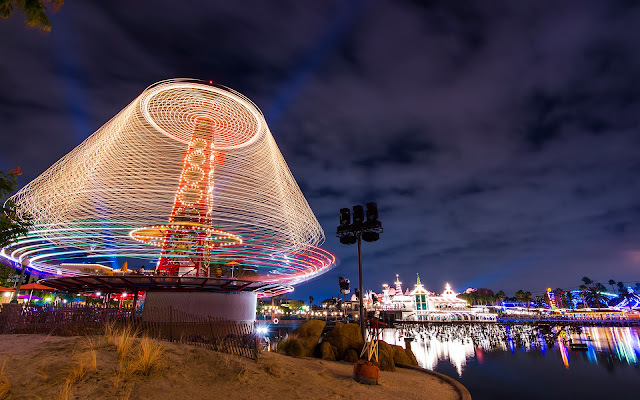 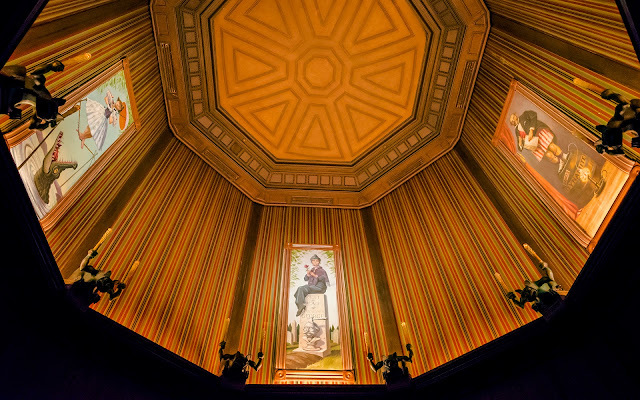 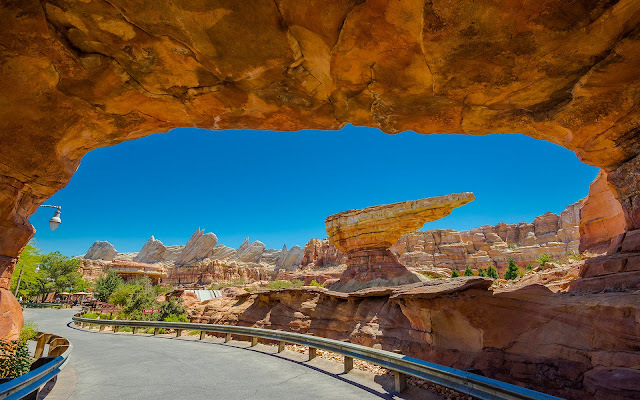 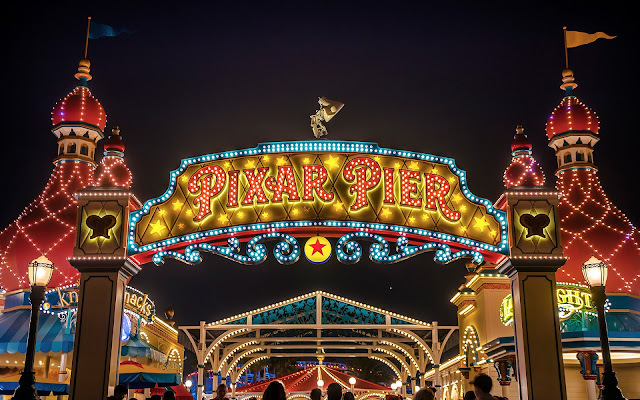 It's evocative details like this that make Disney parks so wonderfully atmospheric!